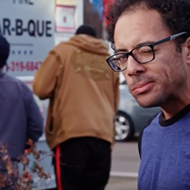 In Memphis, we see a lot of ourselves in our barbecue. Tough cuts, mellowed low and slow in environs some find harsh and repellant. Slow smoke and heat grinds rock to diamond, from the profane to the divine, with the freedom to move across the spectrum as we choose. If you're new here, you're undoubtedly still learning the barbecue ropes and tropes. Words like "wet" and "pulled" take on new meaning, and terms like "pitmaster" enter your lexicon. You learn that "barbecue" is a food — a sacrament — not an event in your backyard. And as you begin to meld with the city, ordering a pulled-pork sandwich becomes almost a civic experience. Native Memphians, and those lucky enough to have lived here awhile, may not order ribs at every meal, but we can damn sure tell you where you should get them — and pulled pork, and barbecue spaghetti (The Bar-B-Q Shop, natch), and barbecue pizza (Colletta's, natch), and wings (Central BBQ, natch), and barbecue nachos (Rendezvous or AutoZone Park, natch). We take our preferences seriously enough that my final parenthetical there might get me run out of town on a rail. We stand up for barbecue, too. Let some San Francisco tech-bro tell you it's just meat and meat is kinda gross if you think about it and the whole, like, "regional barbecue style" stuff is pretty hokey. Does your pulse shoot up? Mine did, and I'm just typing. 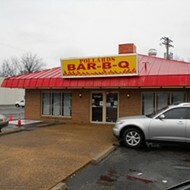 Barbecue is a Memphis icon, part of our brand. Yes, as much as Elvis or the blues. 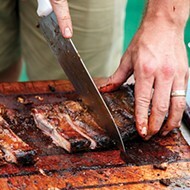 But barbecue is a living art form — practiced, loved, and handed down. And it's an art that thrives beyond the glass cases of museum galleries. Just take a peek from the bluff at Tom Lee Park on the third weekend of May. 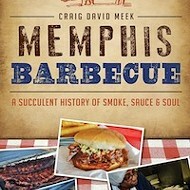 So, what does barbecue give Memphis in return? 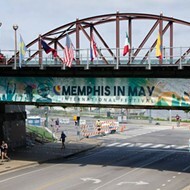 Well, in one month last year, it deposited $37.7 million into the Memphis economy. That's the final tally from a Memphis in May economic impact report prepared by Younger Associates. 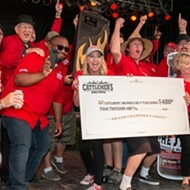 More than half of the 63,721 people that hit the park for the Barbecue Fest (formally, the Memphis in May World Championship Barbecue Cooking Contest) last year were from out of town. Almost 67 percent of those stayed a night here. Most stayed for three nights, spending an average of $215 a day. Tally up the sales taxes, hotel/motel taxes, and the rest and barbecue poured more than $1.1 million into the city's tax coffers. 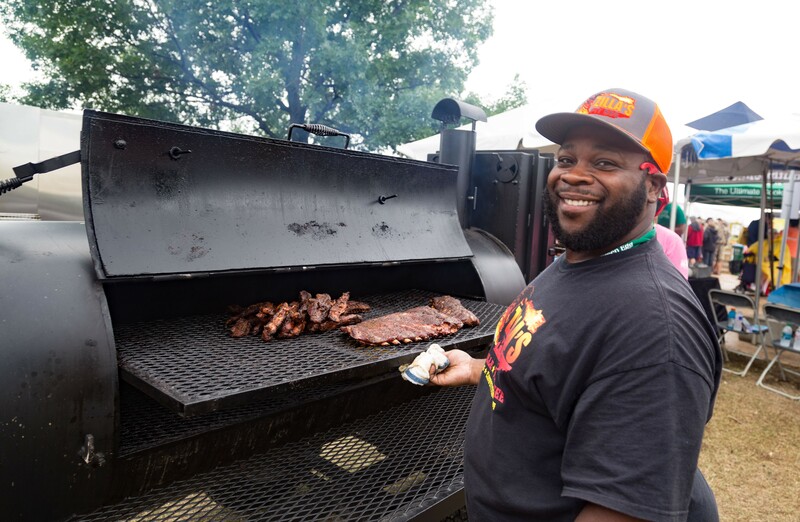 With the 60 or so barbecue joints, smoke shops, road-side pits, lunch counters, food trucks, or restaurants with some-kind-of-barbecue-something-or-another on their menus, you can bet barbecue's economic impact punches above its weight in Memphis every year. None of this is even to mention barbecue as a major part of the Memphis brand. Who visits and doesn't eat some sort of barbecue? No one. How do I know? Instagram. Facebook. Twitter. Snapchat. I'd bet someone is probably talking about it on GooglePlus, too, if, y'know, I ever looked there. All right, further proof? To be clear: I'm not qualifying this as a mark of success, but consider the "Memphis BBQ Angus Thick Burger" from Hardee's. Think about the "Memphis BBQ Chicken Pizza" from Dominos (which they claim is "like summer in a box," for some reason). 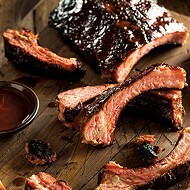 Also, you probably missed it (for obvious reasons), but Papa John's offered "Memphis BBQ Ribs" in the U.K. for a time. Serious suits somewhere (and the trend-makers who inform them) thought Memphis barbecue — and our name — were hot enough to market nationwide and to use to fatten the bottom lines of national conglomerates. Memphis is kind of cool. Tell that to state lawmakers who'd rather we all just fell into the Mississippi River. So, money and fame. Shallow, right? But what about barbecue's contribution as a civic unifier. Wet? Dry? Cole slaw or nah? We all have opinions, and we'll fight you for them. But barbecue has given us those opinions, the ability to have those conversations, and the even playing field on which to have them. Don't know anybody at the party? Ask 'em about barbecue. 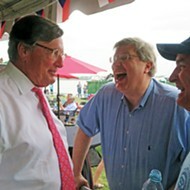 Conversation getting too political? Pivot to barbecue. Looking for some Memphis cred? 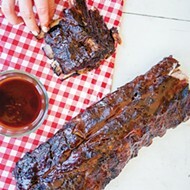 Look to barbecue. Seattle's got coffee. Asheville's got beer. Nashville's got, ummm ... and we got barbecue. But wait! "What about Kansas City and Texas?" you ask. Please let me introduce you to someone. He works in the tech industry in San Francisco. Toby Sells is Flyer associate editor.